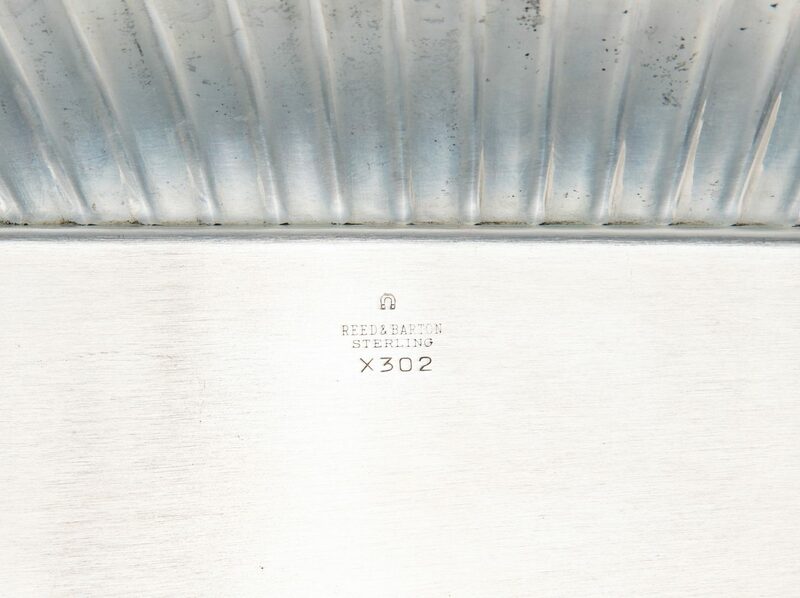 Two (2) Reed & Barton sterling silver serving dishes. 1st item: Rectangular dish with wide tapering gadroon border, marked Reed & Barton/Sterling/X302 on base. 1 1/8" x 8 1/2" x 11 1/8". 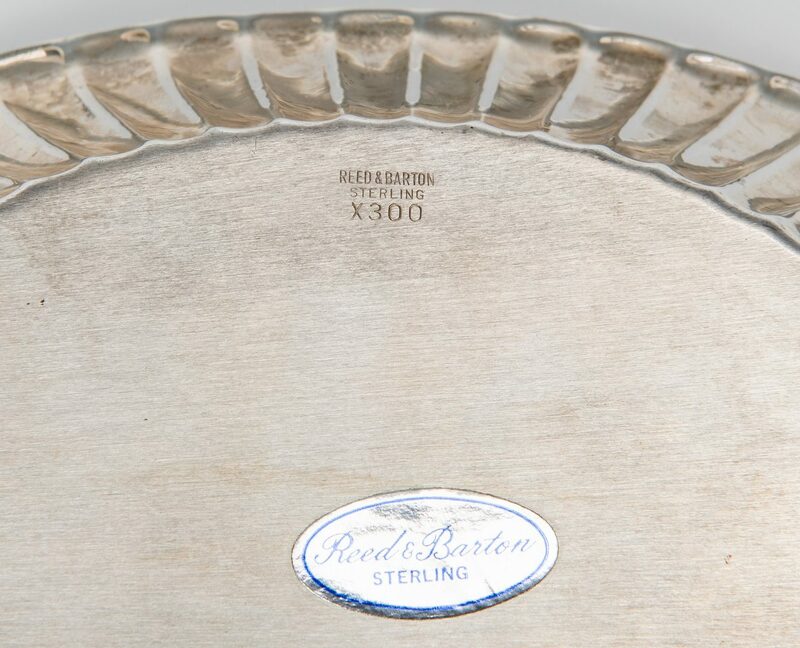 2nd item: Oval deep serving dish with tapering gadroon border, marked Reed & Barton/Sterling/X300 on base. 2" x 9 7/8" x 6 1/4". 24.72 oz troy/2 items. No monograms. CONDITION: Overall good condition. Not monogrammed.